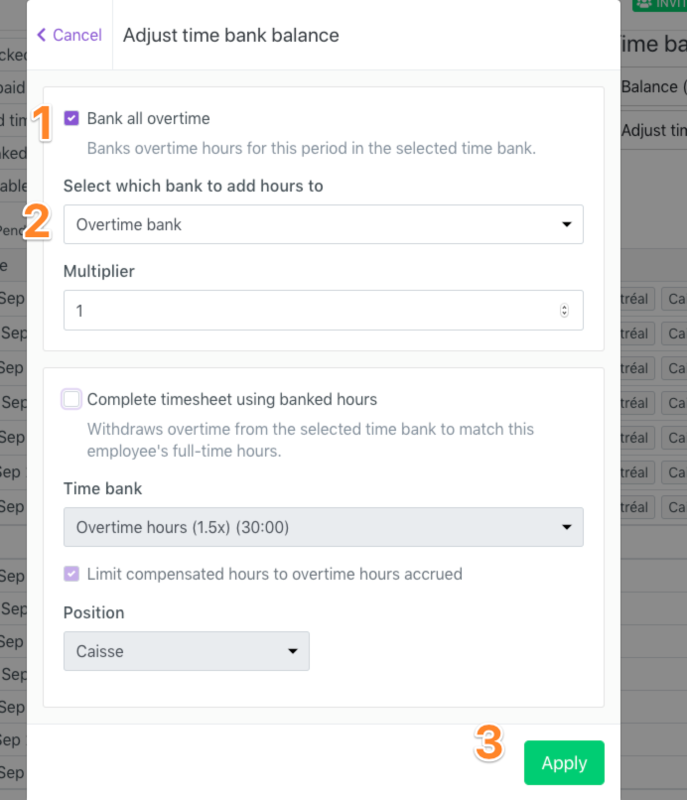 It is possible to bank overtime of all employees at once with this procedure. A time entry will be displayed in the timesheet to show the employee that the hours have been banked. The ⬆️ indicates that the hours have been banked.